Chandler, AZ is a suburb of the Phoenix metro area. It is served by three highways- Loop 101 (Price Freeway), Loop 202 (Santan Freeway) and I-10. Getting in and around the city is a cinch. There are many ways of getting to Chandler, by air, public transportation or car. The transit authority- Valley Metro offers light rail and bus service to Chandler. Also, Las Vegas, Los Angeles, Salt Lake City, Albuquerque, San Diego and El Paso are a few cities that are within a day’s drive. Read on further to know more about the ways of getting to and around Chandler. Phoenix Sky Harbor International Airport: It is the major air gateway to AZ that is in East Phoenix, 3 miles from downtown. The airport is about 25 minutes from Chandler. US Airways and Southwest Airlines have hubs at this airport. Other airlines serving this airport are: Alaska Airlines, Hawaiian Airlines, Bristish Airways, Great Lakes Airlines, AeroMexico, American Airlines, Frontier Airlines, AirCanada, Delta Airlines, Sun Country Airlines, JetBlue Airlines, West Jet, and Southwest Airlines. Phoenix-Mesa Gateway Airport: It is in east of Phoenix and served by Allegiant Air, Frontier Airlines, Vision Airlines and Spirit Airlines. Chandler Municipal Airport: It is located 3 miles southeast of Chandler. It is one of the country’s 50 busiest general aviation airports. 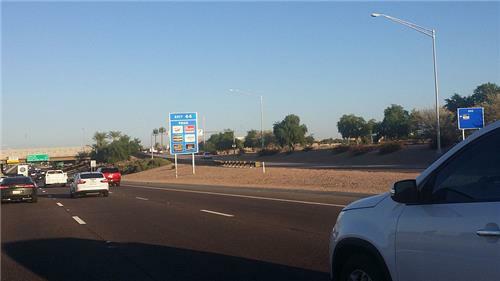 Chandler is served by three highways- Loop 101 (Price Freeway), Loop 202 (Santan Freeway) and I-10. To get to Chandler by Car, head on Interstate-10 till it arrives at Loop 202 (the Santan Freeway). The Loop 101, the Price Freeway also serves Chandler. It goes to west of Chandler and connects to all main freeways in the region. Take the Phoenix Metro Light Rail that connects you to several buses running to Chandler. The easiest and comfortable way to get around Chandler, AZ is by car and bus. Valley Metro offers bus service in Chandler. Buses run throughout the city. To know the routes and schedule, click here.